Law enforcement returned to class Wednesday to get a lesson in self-driving technology. Anoushah Rasta reports. Law enforcement returned to class Wednesday to get a lesson in self-driving technology. 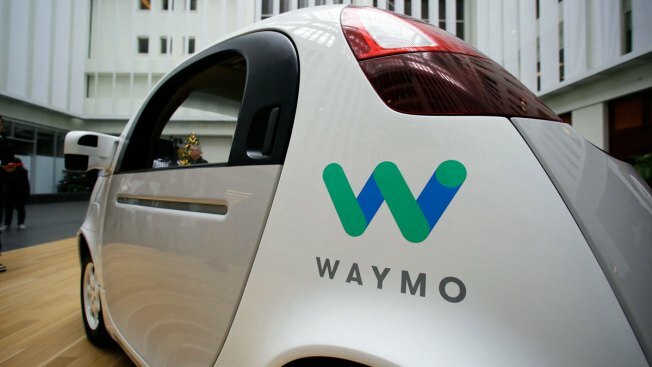 A representative from Google's driver-less car company Waymo gave a presentation at the California Highway Patrol office in San Jose to teach officers and other emergency responders how to safely handle these cars on the road. Self-driving cars could reach the mainstream as early as next year. The California Highway Patrol knows the change is coming and their officers want to be ready for it when it does. "There will be situations where we'll be needing to interact with these vehicles in crashes, perhaps an enforcement contact, we need to know how that's really going to work out for us," said CHP Sgt. Daniel Hill. Wednesday's meeting included instructions on how to disable the self-driving mode, two the vehicle, handle it if it's flooded and even where to cut the car in a stituation where a passenger might need to be rescued. CHP officers in the Bay Area have struggled with advanced car technology before -- not involving Waymo, but Tesla. For instance, last March, CHP had to call Tesla for help after a crash on the freeway in Mountain View because officers did not know how to handle the car's battery. The presentation on Wednesday adds to the effort to make sure that kind of situation does not happen again. "I think the timing is OK, but it should have happened several years ago," said Fred Barez, a mechanical engineering professor at San Jose State University. Barez adds it is still better late than never and now making first responders and law enforcement part of the process is critical. "It's going to include, as they call, a village to be able to handle this," Barez said. Waymo has been testing its cars in the Bay Area for months, but no word on when the company will offer service to consumers.